Sabritas Foundation, a non-profit association in Mexico associated with Pepsico’s Sabritas snack food brand, is using social advertising campaign focusing on destiny, raising awareness of their work and building a donor support base. 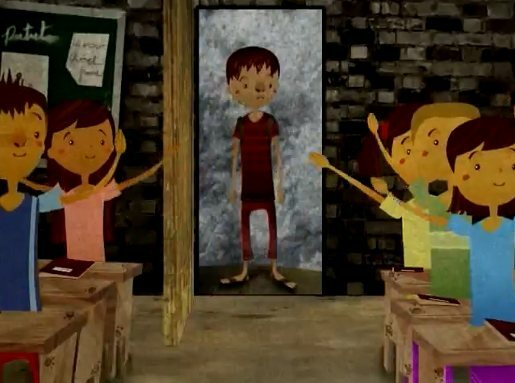 Three animated commercials present the stories of young people from rural parts of Mexico as they are supported in their on-the-spot education. A young boy struggles through wintry conditions and poor roading to make his way to a rural school. “Destiny is not written”. With the support of the Sabritias Foundation the young boy’s education is made easier. “Destiny is not written. Help us make it different”. Children from the rural school are provided with the means to build careers. “Thanks for helping us write a different future”. The Destiny campaign was developed at BBDO Mexico by executive creative director Héctor Fernandez, creative directors Agustín Esteban, Carlos Oxté, creative team Raúl Pineda, Mario Berber, Carlos Oxté, Agustín Esteban, account team Eduardo Delgado, Alejandra Pérez, Paola González, and agency producer Francisco Muñoz. Sabritas Foundation staff on the campaign were Jorge Larabonilla, Palmira Camargo and Alejandra Vélez. Animation was produced at Cluster Studio by producer Samuel Rosete, art director Eduardo Keys, animators Fernanda Heredia, Antonio Chaparro and Ben Stonehouse. Sound design and audio post production were produced at Lookas Audio.